Your next step is a step up. Bordering Kloof and Padfield Park, Greenhaven Estate is a unique, over 50s lifestyle estate providing retirees with a mature, vibrant and active social experience. Enjoy retirement in a serene setting that boasts panoramic wetland views and a long list of first-class amenities and life-enriching activities. TruCare has been selected by Greenhaven Estate as the primary care service provider because they offer client-centred care and they understand how important independence is to your quality of life. Inspired by their motto: “In your home, in our care”, they follow an ageing-in-place philosophy through home-based care services. Developed across ±9.3ha of ideally positioned land and 2.4ha of open space wetland area, Greenhaven Estate will consist of approximately 255 units. The available homes comprise several different layouts and types, all universally accessible and wheelchair friendly, with modern finishes. Greenhaven Estate is ideally located in Kloof on a lush plot of land, found nestled between its entrances on Wyebank Road and Padfield Road. Greenhaven’s serene setting, on a natural slope, offers panoramic views that reach from the surrounding wetland all the way to the sea. With this convenient location, the estate is positioned in proximity to neighbouring areas, such as Durban which is a mere 24km away - allowing residents to easily get to the city and nearby amenities. The Melki Group started out as a plant hire company in 1980 by current CEO, Thiru Govender. It has grown and evolved into a diversified group portfolio in property development, civil engineering contracting and plant hire. Launching its property arm in 1995, this respected developer has successfully initiated and completed developments to a current value nearing R1 billion. Wakefields Real Estate has handpicked our Greenhaven Estate sales team from some of our most experienced and highly successful performers. Dave Bennett, Nasima Osman and Norma Snodgrass are all experienced in developer residential sales and retirement properties. With months of specific Greenhaven Estate training under their belts, they are ready to assist clients throughout the purchasing and moving process. 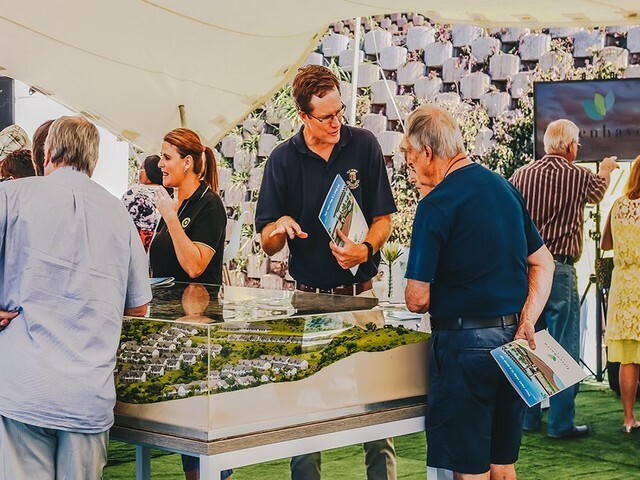 From off-plan sales to new unit handovers, our Greenhaven Estate sales team is looking forward to making your next step into retirement, a step up. If you have any enquiries or would like to arrange a viewing, please fill in the form below and we will contact you. Join the Wakefields Inner Circle and stay informed of new development launches. 109 Padfield Rd, Padfield Park Pinetown. Corner of Padfield Rd & Bierbaum Str.